Spaulding Youth Center is pleased to welcome Caroline Hanly as its Health Services Supervisor. In this role, she will be responsible to provide oversight and expertise to the dedicated health services staff so that together, the department can continue providing the highest level of care to our students. Ms. Hanly has over twenty-seven years of nursing experience, including management, education and mentoring of nursing staff as well as facilitating the on-going assessment of patient and family needs to implement a coordinated team care plan. 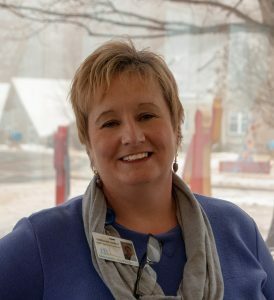 She also brings extensive experience successfully collaborating in a team-based environment for residential, crisis healthcare and critically-ill patients to her new role at Spaulding Youth Center. Prior to joining Spaulding, Ms. Hanly served as the Nursing Supervisor and Emergency Department Registered Nurse at LRGHealthcare in Laconia, NH. Earlier in her career, Ms. Hanly previously worked at Spaulding Youth Center as a per diem nurse. Ms. Hanly earned her Diploma in Nursing from Elizabeth General School of Nursing, and holds a wide variety of certifications, including Pediatric Advanced Life Support (PALS), Basic Life Support (BLS), Trauma Nurse Core Course (TNCC), Advanced Cardiac Life Support (ACLS) Certification, Neonatal Resuscitation Program (NRP), and Sexual Assault Nurse Examiner (SANE) prepared.